Scrum goes back to 1986. It was first defined as "a flexible, holistic product development strategy where a development team works as a unit to reach a common goal" as opposed to a "traditional, sequential approach" in 1986 by Hirotaka Takeuchi and Ikujiro Nonaka in the New Product Development Game. Scrum goes back to 1986. It was first defined as “a flexible, holistic product development strategy where a development team works as a unit to reach a common goal” as opposed to a “traditional, sequential approach” in 1986 by Hirotaka Takeuchi and Ikujiro Nonaka in the New Product Development Game. They later argued in The Knowledge Creating Company that it is a form of “organizational knowledge creation, especially good at bringing about innovation continuously, incrementally and spirally”. Ken Schwaber along with Jeff Sutherland, John Scumniotales and Jeff McKenna have been the first to use what would become known as SCRUM in their companies in the early 1990s. In 1995 Sutherland and Schwaber released a paper describing SCRUM as a methodology at the Business Object Design and Implementation Workshop held as part of Object-Oriented Programming, Systems, Languages & Applications ’95 (OOPSLA ’95) in Austin, Texas. Schwaber and Sutherland collaborated during the following years to merge the above writings, their experiences, and industry best practices into what is now known as scrum. Although the word is not an acronym, some companies implementing the process have been known to spell it with capital letters as SCRUM. This may be due to one of Ken Schwaber’s early papers, which capitalized SCRUM in the title. The need for speed and flexibility in the product development areas resulted in a different approach than the traditional sequential approach. The old method preached a phase to phase approach to product development where the functions were segmented and specialized. With the “rugby” approach product development is done by self-organizing, multidisciplinary teams whose members work together from the start to the finish. This resulted in the birth of the Scrum framework, named after the term “scrum” in rugby. The teams are cross-functional, self-organizing and have all the capabilities to accomplish their work. All Scrum Events are time-boxed and have a maximum duration. Sprint is a time boxed event no longer than 4 weeks at the end of which a potentially releasable product should be available. 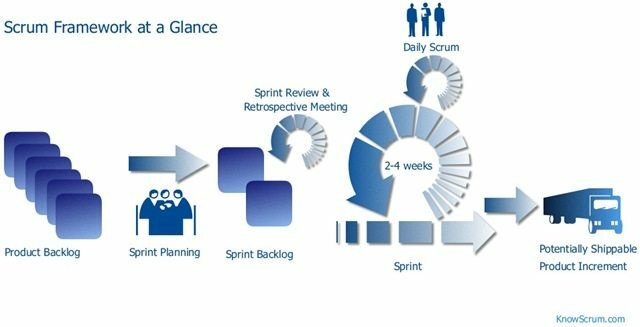 Sprint activities: sprint planning, daily scrums, development work, review and retrospective. Each sprint has a goal and they come one after the other, as soon as one is finished another can begin. If they have any impediments that prevents the team from achieving the Sprint goal.The Sprint Retrospective event is a meeting that has the sole purpose of analyzing the results of the Sprint and create an improvement plan. The Sprint Review event is a meeting held after the end of each Sprint to inspect the product that resulted. The Product Backlog is a list of prioritized functionality items that might be needed by the product, and is the only source of requirements. According to a case study research in six companies the following conclusion has been reached: “SCRUM works in any environment and can scale into programming in the large”. Furthermore, another study shows that use of Scrum can result in a productivity increase in comparison to the traditional methods. Scrum helps lower project complexity and brings order to the project by enabling teams to self-organize which allows for a productive environment to emerge. Scrum does not provide in depth design documentation for future development. Having put focus on bringing order to the development process it may not fit projects that require a high level of innovation. Testing and Quality Assurance need to be done different than in PRINCE2 and there can be challenges in implementing new testing methods and procedures. There can be a lot of resistance when it comes to Scrum adoption in the organization. Maintains transparency of the development process. Encourages visibility of the development. Has built-in communication process – the planning and daily stand-up meetings. This forces and ensures the team is aware of everything that is happening. Continuous communication is key to a project’s success. Shippable deliverable. Most of the time the customer are not really clear of what is needed. But when the customer sees a working product, they can tell if that’s what they want or not. This is similar to prototyping. But prototyping can be just on paper or screen design and may not be good enough for customer to see what he/she will eventually get. Scrum expects team members to have multiple skills – design, coding, testing, writing user stories etc. The skills acquired will make a scrum team member to be able to contribute actively in future projects and any kind of discussion. Lean product backlog and sprint backlog management. Keeps a focus on user features: Focus on user features to some extent is ok but what if the process is totally in to it? A slow and clean approach always seems difficult to a team! Non functional requirements can be ignored since they don’t have any direct impact on the user. With scrum every team member needs to forget about his/ her area of expertise. Scrum is more useful to the companies that are product based rather than other aspects. Meetings are time-boxed. Its good to ensure we are focused. However, there may be more things to discuss and clarify especially during the start of the project or start of a sprint. Limiting time may result in some important discussion & agreements is missed. In scrum, the Product Owner is the key decision maker with regards to requirements (product backlog) and its prioritization. Unless the Product Owner has full and complete knowledge of all the requirements, which is a rare case, he/she will not be able to provide accurate and instant answers to the team members. This situation will cause some delays in the team’s progress. Some organizations are very operational in nature. They do not have dedicated project teams working on software development projects. Since operational support is always the number one priority for most organizations, it is going to be very difficult to assign a few members to be spending full time on a software development project as demanded in SCRUM. Effort estimation depends on each team members skill set, experience and familiarity with the system. Different estimates may be given due to lack of skill set rather than lack of understanding. 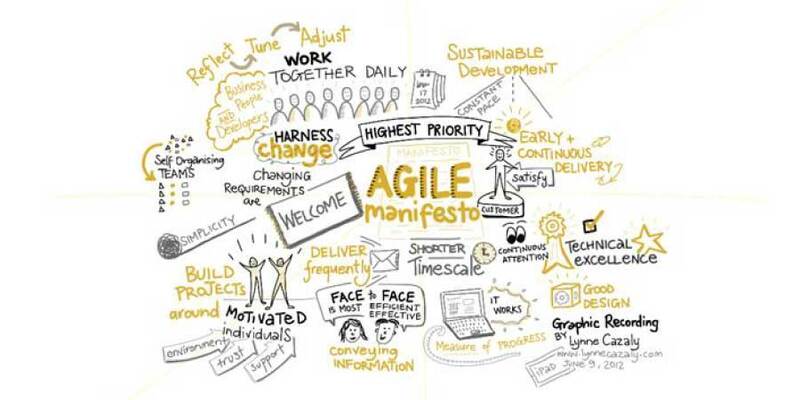 What is your view on SCRUM, is it something you would like to learn, practice or implement? Post your comments below.